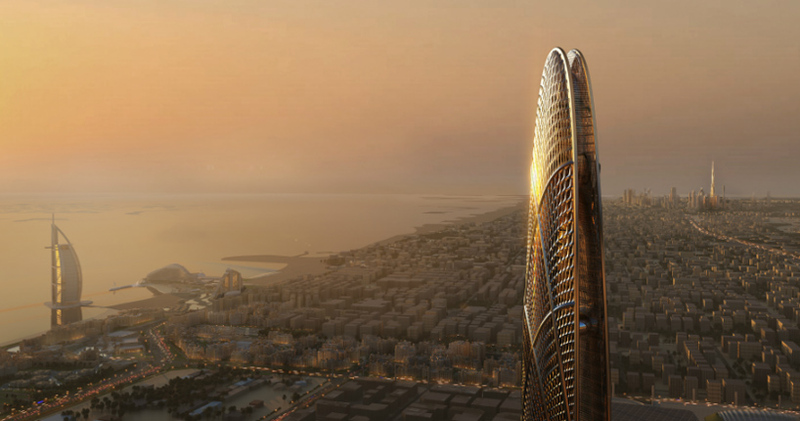 burj jumeira, developed by dubai holding, rises 550 meters and is takes its form from the harmonious ripples of the desert sand dunes and flowing oases. 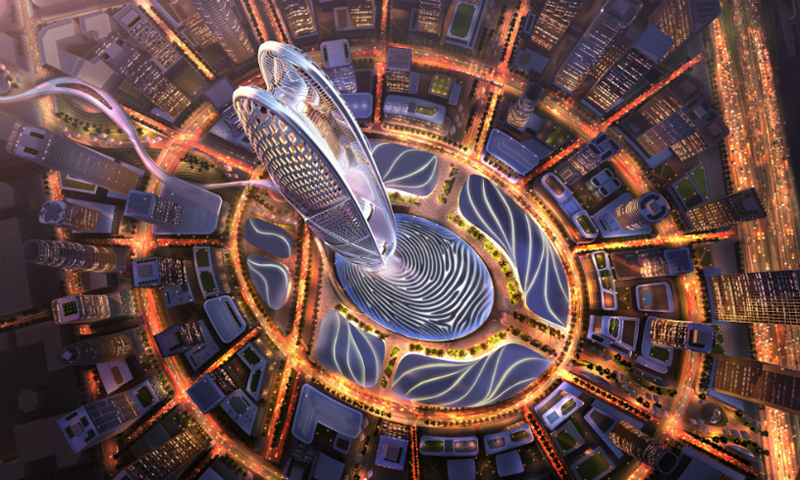 the tower’s façade will be clad with digital displays that can be utilized for social events and celebrations, further reinforcing the tower’s role at the heart of the community. 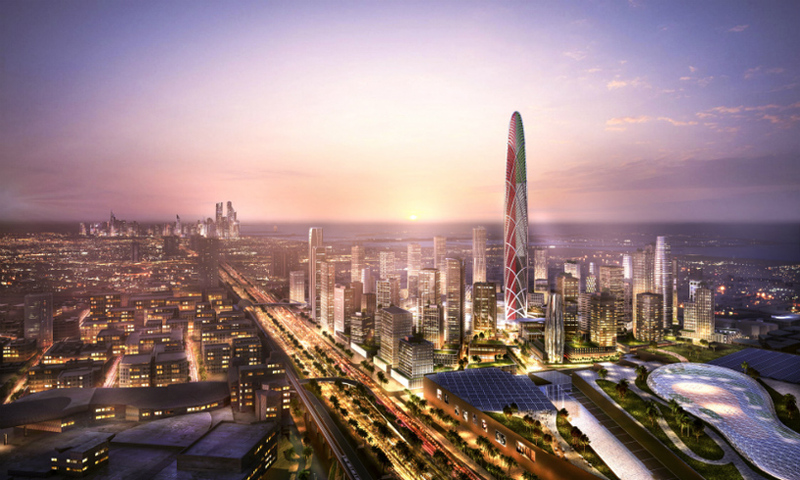 the design of the tower’s expressive base is designed in the outline of his highness sheikh mohammed’s fingerprint. this outdoor social space is programmed to accommodate a spectrum of cultural and artistic events and will comprise numerous elements such as fountains, and a terraced outdoor amphitheater. 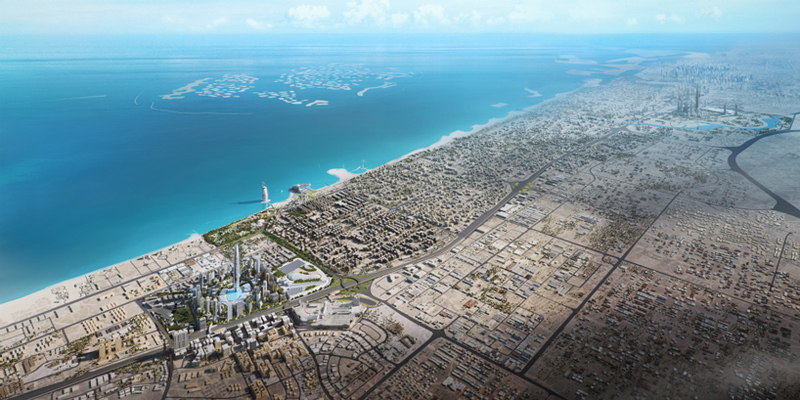 surrounding the base of burj jumeira will be an integrated and vibrant retail component. at the summit of the tower is the crown, which has the programmatic flexibility to host a variety of events. at 450 meters high, it expands according to use, with a sky-lounge and sky-restaurant which the capacity to host large scale events. 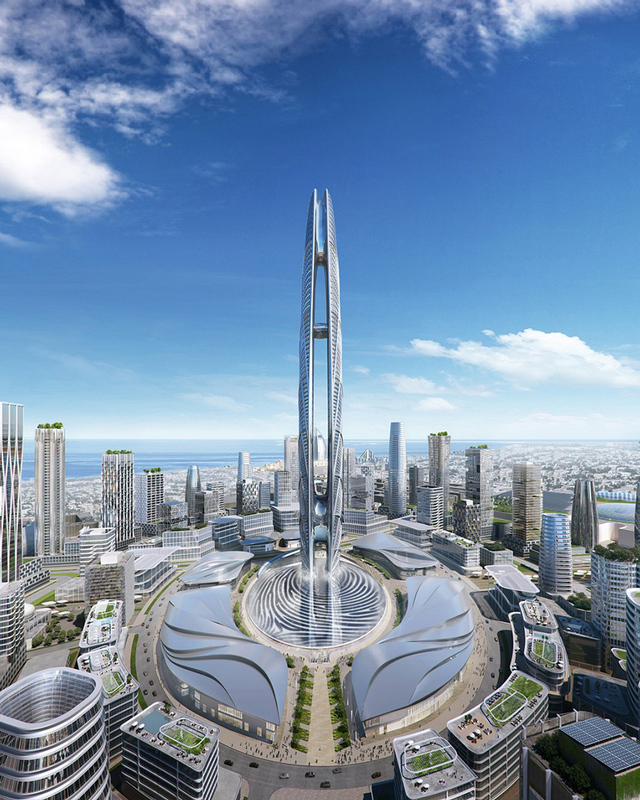 burj jumeira will integrate multiple observation decks, offering visitors sweeping panoramic views over dubai. 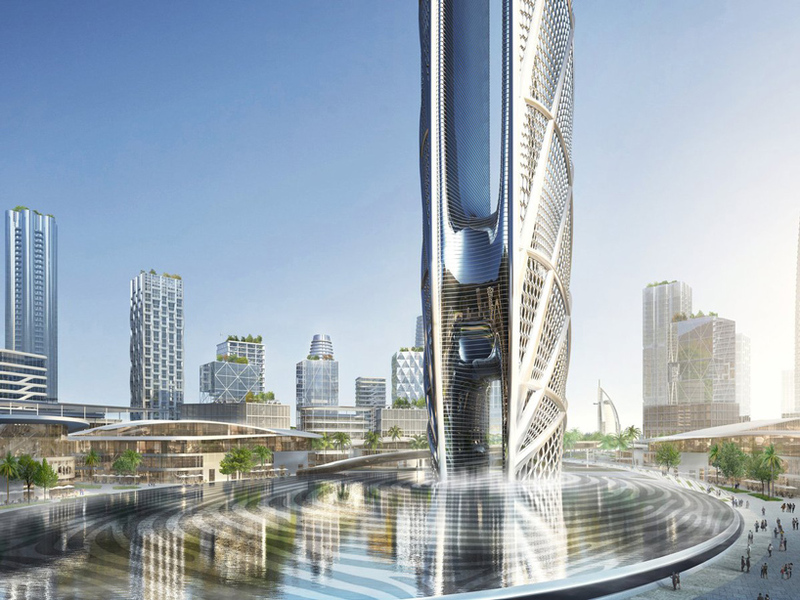 with its interactive experiences, the concept surpasses the traditional observation deck typology. the main viewing platform is accessible by elevators with integrated digital screens that carry the visitor through a virtual experience. the deck will be a destination to witness firework shows or take part in extreme sports.